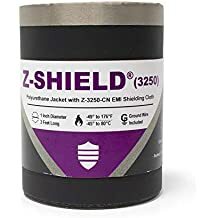 Zip Shield Shx4 - Emi Jackets And Expandable Sleeves - Emi Shielding - Products - ZT | Zippertubing Co. 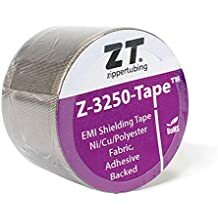 The Zip-Shield® (SHX4) is developed by Zippertubing as an advanced cable management product that is easy to install and remove. Our Zip-Shield® products are unique in that they feature an exterior protective jacket that is heat sealed to the pressure track closure with the additional benefits of adding our SHX-4 Mesh EMI/RFI protection shielding to the configuration. These products have been field tested for many years and provide excellent shielding results with an all-in-one solution. VNH-23 is a medium weight (.023") low temperature PVC coated Nylon fabric that conforms to Mil-C-20696, Type II, Class 2. The material is extremely flexible, even at low temperatures, has high break strength and is abrasion resistant. VNH-23 is ideal for outdoor applications where wire or cables are exposed to weathering, abuse, abrasion, rock impact or where tear strength is important. The material is flame retardant and will pass FAR 25.853, paragraph B requirements. This material comes standard in black or yellow but any FED-STD-595 color is available on a custom order basis. All Zippertubing closure styles are available. VNH-23 is an extremely versatile material and has been used in both commercial and military applications including aircraft anti-chaff protection, marine dockside cable protection and Antarctic Research programs. The material has an operating temperature range of -55° to 75°C. SHX-4 (SnCuFe) is a flexible 4 layer knitted wire mesh EMI shielding material that is made of Tin plated, Copper clad Steel wire. The knitted mesh design creates a highly flexible shield that unlike many tubular braids will not change attenuation performance when articulated. The knitted wire mesh maintains constant window spacing during cable assembly movement and as a result yields excellent EMI shielding performance from 500 KHz through 1 GHz. The material is highly conductive, rugged and is ideal for airborne applications where lightning strike grounding is required. The mesh can be added to most Zippertubing jacket materials to create an easy to install Zip-On EMI shielded assembly. SHX-4 shields come with a standard 15 AWG drain wire attached to simplify grounding.